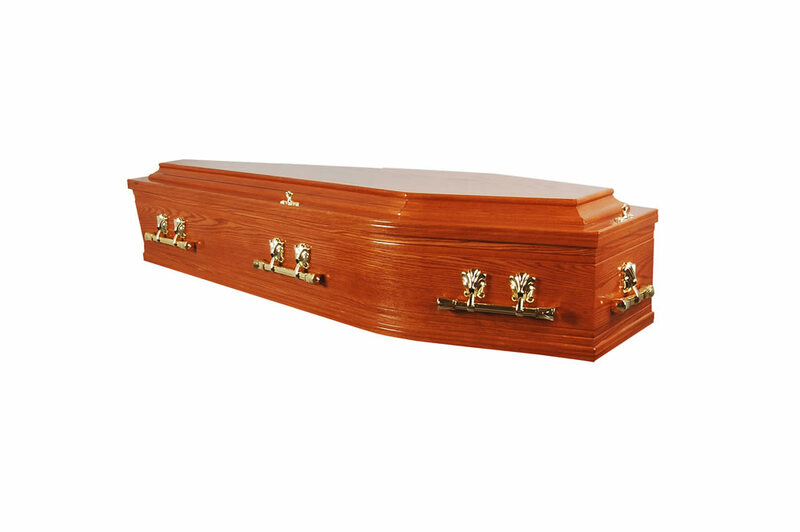 Blackstaff Light wood veneer, with flat lid and plain sides, furnished with fixed brass coloured handles & white satin interior with white satin pillow. 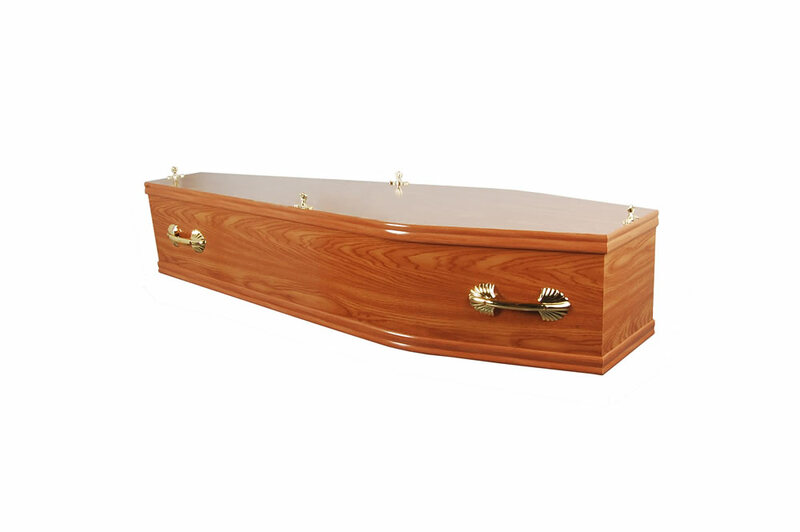 Lagan Dark wood veneer, with flat lid and plain sides, furnished with fixed brass coloured handles & white satin interior with white satin pillow. 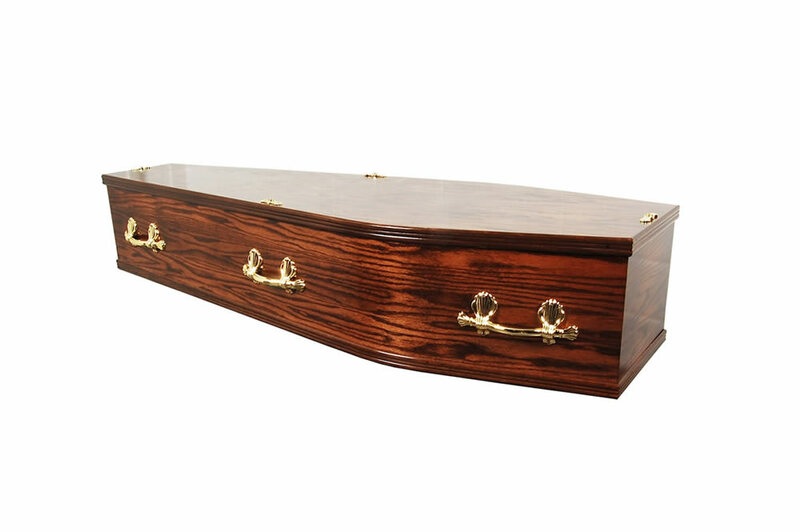 Farset Rose Oak veneer, gloss finished with a double raised lid, profiled sides, brass coloured swing bar handles & white satin interior with white satin pillow. 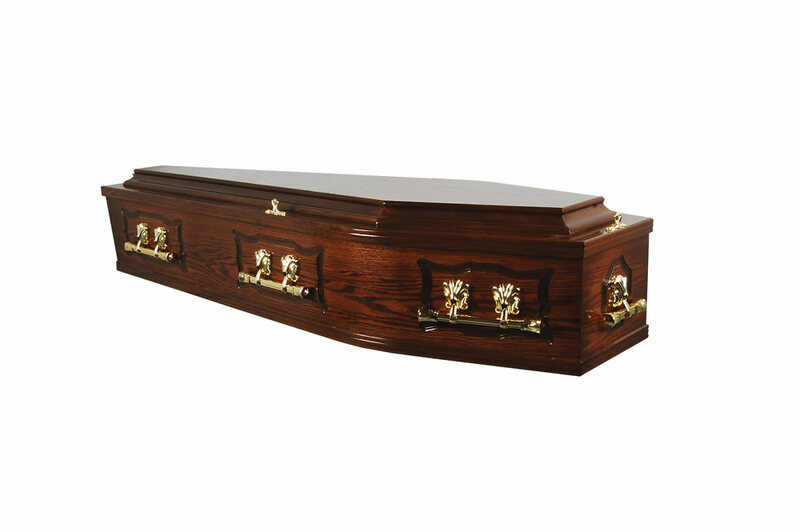 Meadow Dark oak veneer, gloss finish with a double raised lid, panelled sides, brass coloured swing bar handles & white satin interior with white satin pillow. 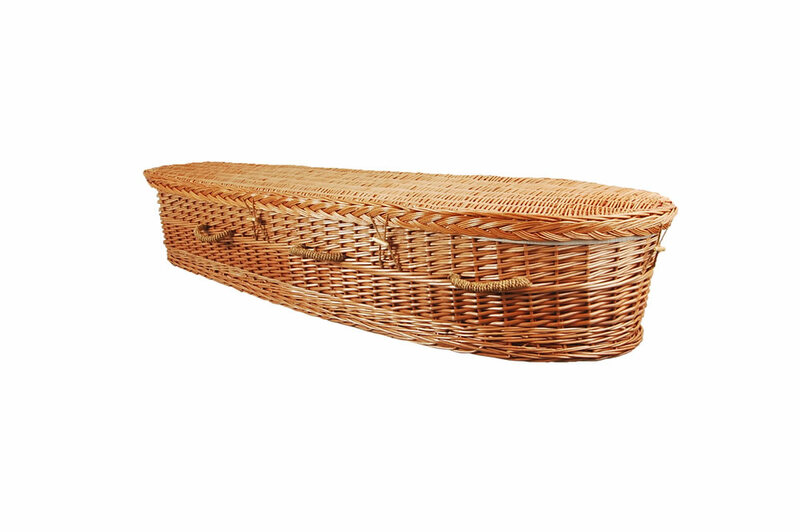 Willow Hand-woven traditional buff willow with solid wooden base, suitable for burial and cremation, crafted from natural, sustainable materials; one size. 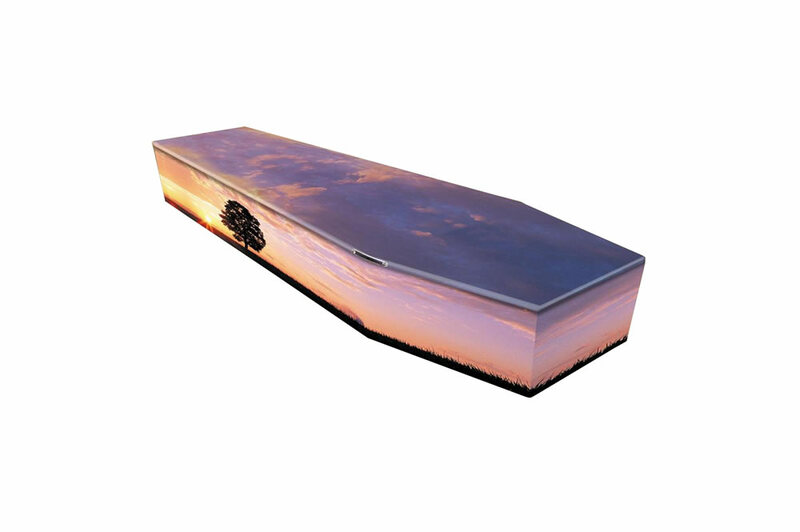 Sunset Flat lid wrapped oak veneered coffin. 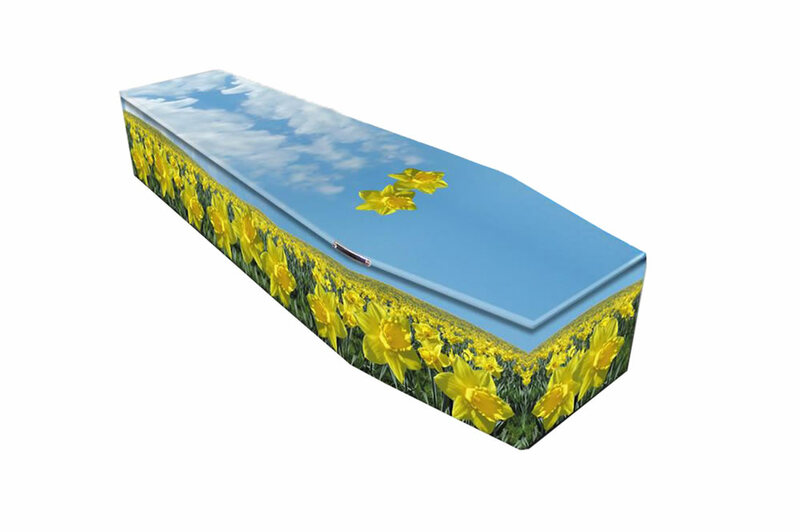 Fields Of Daffodils Flat lid wrapped oak veneered coffin. 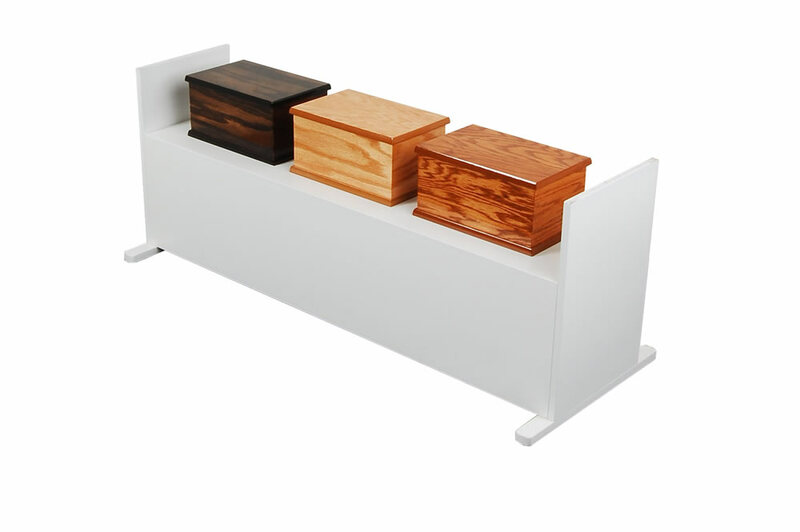 Urns Dark, light or rose oak veneer.